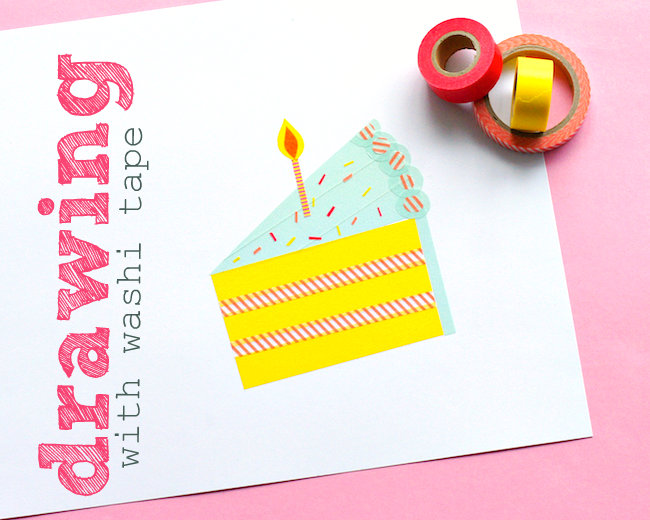 I'd love to know - do you ever "draw" with washi tape? Creating pictures out of tape is one of my favourite things to do. I'd love to know if you do it too! I crafted up this slice of birthday cake last week and ever since I've been dreaming of other things to draw with paint. If you do this too, I'd love to see what pictures you've been creating out of tape!